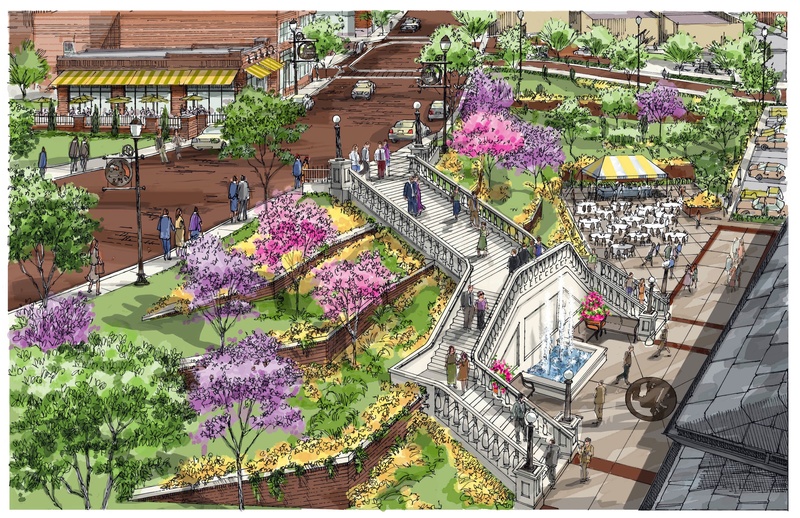 As a part of the DREAM City initiative, Poplar Bluff worked with PGAV to develop a plan for renovation and redevelopment of the downtown area. As a part of this plan, an illustration of how the staircase and depot area could be renewed for use today. 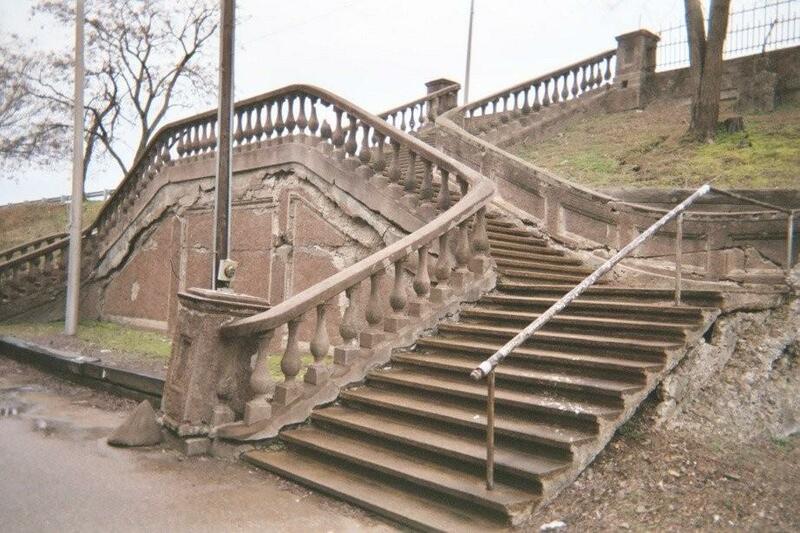 Here are images of the staircase as it looks now – in need of repair, and in the PGAV plan with new landscaping and masonry work. Current condition of the stairway. Sometimes we find a treasure that is so precious, we know it must be preserved. Poplar Bluff, Missouri, has such a treasure in the historic downtown district: the Union Pacific Train Depot and staircase which accesses it from Main Street. Missouri Life magazine listed it as one of the top 10 historic sites in the state in critical need of being saved for future generations. I remember taking the train to visit my grandmother in St. Louis when I was a child. There was something romantic about taking the train to the big city. It was the hub of activity and transportation to distant places in the days before air travel was king. I want to see this treasure preserved. If you feel as I do, make a contribution to the Historic Depot Stairway Restoration Fund. This site will soon have a Pay Pal option so that you can send your donation directly from the site. Thank you for your interest and your help is preserving this historic Missouri treasure.